If you’ve hired a professional contractor, a bad carpet or flooring installation might be your worst nightmare. This guide is here to help you avoid problems on installation day. Not everyone is a do-it-yourselfer. Many people don’t have the time, inclination, or know-how to install new carpet or flooring on their own, and instead choose to hire a contractor for their installation. This can be a nerve-wracking experience. It’s a large financial investment, and in the meantime, your house is a construction zone. The good news is that preparation and communication can help you avoid problems with your professional carpet or flooring installation. Read these six tips on how to make the job go smoothly for both you and the installer. The best way to avoid a bad carpet or flooring installation is to simply be home when it happens. This gives you a chance to verify the materials before they’re installed to make sure the color and style are correct, and being home also allows you and the installers to walk through your house together so you can discuss any questions or concerns you have about the project. Most installer companies understandably require you to pay for some part of the materials and labor in advance. Make sure you find out which payment methods they accept prior to installation day so you’ll be ready to pay them properly. Most installers are not authorized to start working while you run to the bank or make phone calls to get funds squared away. When your payment is prepared, the installer can start working immediately. This means your job will be finished faster and you can start enjoying your new floors. Bonus Tip: How much a company can legally collect in advance varies from state to state. In California, for instance, contractors are allowed to collect no more than 10 percent in advance. Check your state’s law, and don’t pay more than the minimum amount. This way, if there are installation problems or delays, your contractor will be incentivized to finish the job to your satisfaction as quickly as possible to earn the remaining balance. If you’ve agreed to move your own furniture, make sure it’s out of the way before the installation team arrives. If the installers are moving the furniture, but you’re supposed to unpack your bookcases, disassemble your bed, etc., complete these tasks in advance of their arrival. Shifting items from room to room while the installers are working not only creates chaos, but it will slow down the installation. If your house isn’t prepared, your installer may politely inform you that you’ll have to reschedule for another day. This could mean another day off work and delaying your new floors. It will never be easier to fix an installation problem than it is while the installer is still on-site. If you see an area with poor craftsmanship or a bad flooring installation, say so. If you wait to notify the company after the installer leaves, they may not be able to send anyone back to correct it right away, and you’ll have to continue to look at the offending area until they put you back on their schedule. Make sure no areas were missed, including closets. Walk around the room(s) and pay special attention to the edges and transitions. If you see something that doesn’t look quite right, point it out and ask them to fix it before they leave. If they forgot to clean up in an area, don’t be afraid to remind them. You’re paying for a professional carpet or flooring installation, and the results should reflect a professional job well done. Most professional installers take pride in their work. They want you to be pleased with the finished job so they can earn your referrals, repeat business, and rave reviews on social media. If there’s an installation problem, give them a chance to fix it before you leave them a bad review on their Facebook page. They don’t want your house to suffer from a bad installation any more than you do. It is not uncommon to have a carpet or flooring project take more than one day. In larger or more complicated projects, the installers may not be able to complete all the areas in such a short amount of time. And sometimes they may need to come back another day to haul away old materials, clean up, or install wall base, etc. That’s fine. But don’t pay the balance or sign off on the job until it’s 100% complete. This gives the company an incentive to return as quickly as possible to finish. Withholding the final payment and your signature on the completion paperwork is your best leverage to make sure they finish the job to your satisfaction as quickly as possible. Each installation is unique. 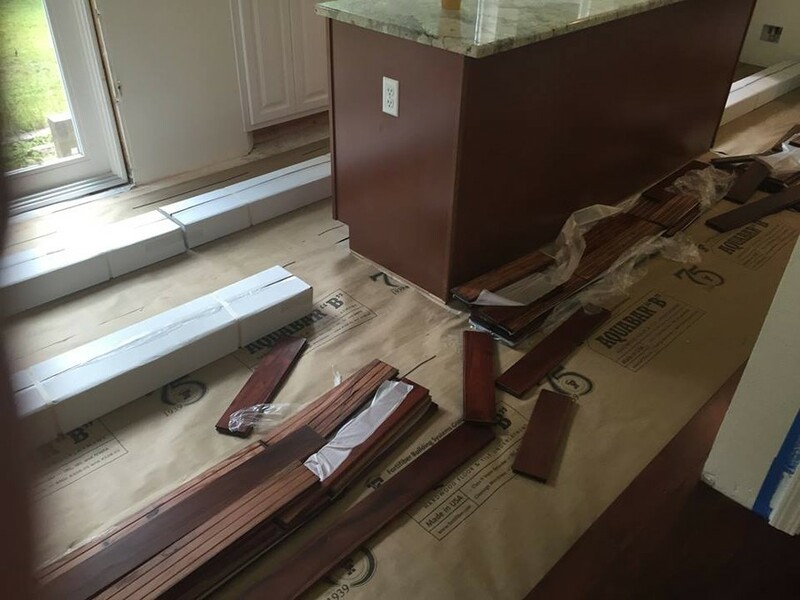 Being prepared and communicating clearly with your installer will help you avoid problems with your carpet or flooring installation so you can enjoy your new floors.